My shop’s second birthday is right around the corner! Some days it feels like I’ve had this business forever, but, in reality, The Papery Craftery is still a baby. And still, I’ve picked up a lot of craft business know-how along the way. 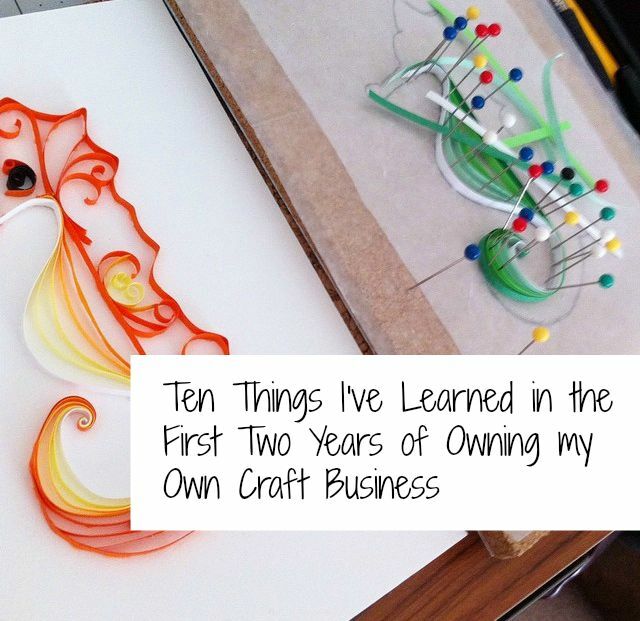 I’m no expert, but here are 10 things I’ve learned in the first two years of owning my own craft business. There really is a loooooot of work that goes into having a creative business. The first piece of advice that any craft business owner will tell you about opening your own shop is to do your homework. 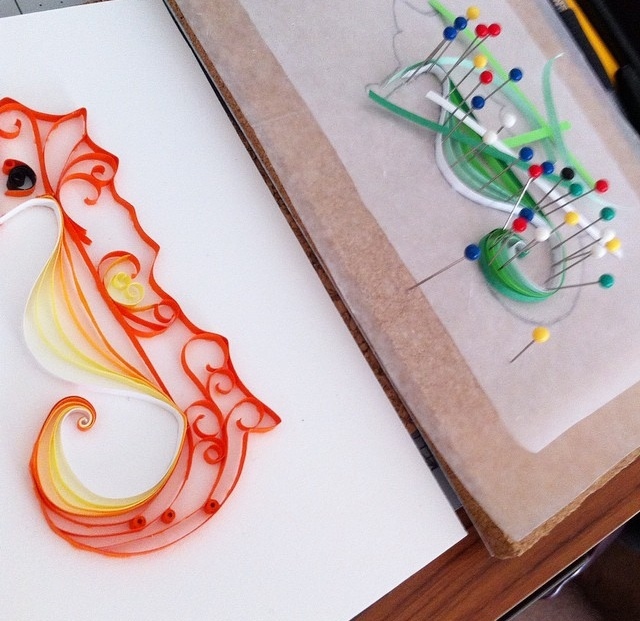 I wish running my business only involved quilling. But it turns out, that’s what I spend the least of my time doing. There is so much more to being a handcrafted business owner that I’ve had to learn about. I’ve read a ton. I’ve pinned, read blogs, listened to podcasts, and asked questions. I’ve learned about taxes and SEO. I’ve tweeted, posted, and followed other shop owners. 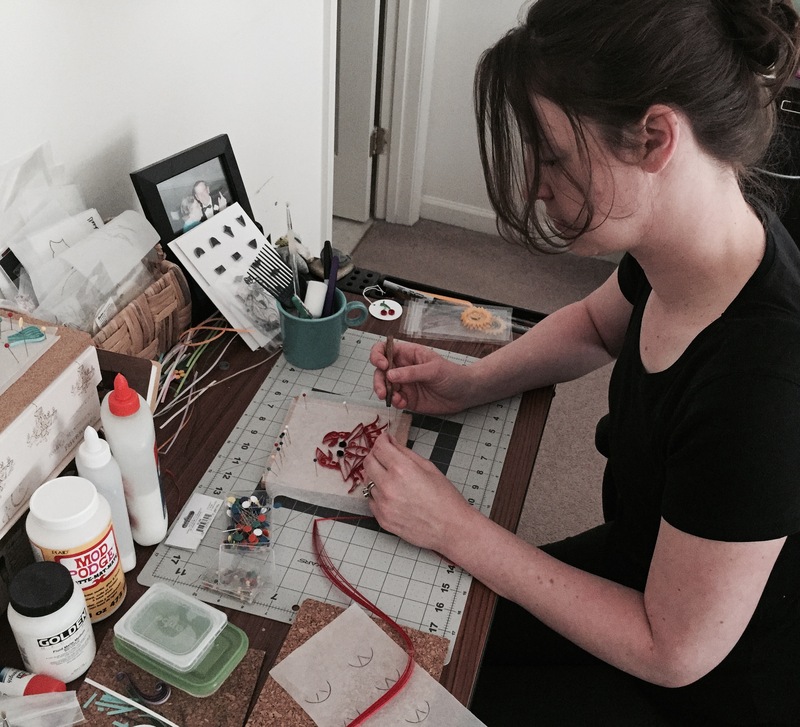 I’m probably only quilling about half of the time that I get to work, but that’s part of the deal when you’re a one-woman show. Maybe someday I’ll be able to hire a virtual assistant to take care of some of the technological work, but until then, I’ll keep learning and doing my thing. You have to get out of your own way. My fear is what holds me back the most. I’ve been so afraid of putting myself out there, even (and maybe especially), to people I know. I spent the first year and a half of owning my shop taking tiny baby steps. It’s really only been in the last 6 months that I’ve started to really grow. And what helped me start to grow was making a purposeful effort to put my fear aside and talk about my work. A lot. And wouldn’t you know it? The very people who I was afraid to show my work to have become my biggest supporters. At least for my life. I have to do lists and lists. I have custom order forms, craft show checklists, and notebooks full of business and marketing ideas. Maybe other shop owners have the brain capacity to work day to day without writing everything down, but not me. And I’m cool with that. I’m a lot braver than I thought I was. Whew, this is a tough one to admit. In a world of shiny, pretty social media posts full of organized pantries and perfectly dressed children, a super-busy wife and mama of two with her own business, like myself, can feel absolutely second-rate. So I have to get over it. My kids are happy and healthy, and thanks to their amazing grandparents, I have some time in my weeks besides nap time and late night to be able to devote to quilling. Computer programming YouTube videos are amazingly helpful! I am nowhere near a computer expert. Sure, I can handle the basics and maybe a little more, but there has been quite a few times where I needed a lot of help. And all those wonderful people who have taken the time to upload video tutorials are amazing. Seriously, so helpful. And I’ve started to pay it forward by posting my own quilling videos so maybe I can answer some nagging questions, too! Don’t be afraid to market yourself like a crazy person. It took me a while to realize that most of my social media followers, whether its on Pinterest, Facebook, Instagram or Twitter, do not see every post that I make. And those who do see my posts, probably don’t remember them for too long. One of the most helpful items of marketing advice has been that you can repeat your posts every once in a while. Especially the ones that your customers are responding to. Most social media posts have a really short shelf life. No one is going to go back to look at everything you’ve ever posted and think less of you for repeating yourself. It’s ok (and necessary) to fail sometimes. Some designs will be a bust. Some marketing attempts will fail. And that’s ok. Because now I know where I can focus my efforts and what I should pass on. The handmade shop owner community is incredibly supportive and kind. I have made so many awesome connections through my social media pages, but I continue to be amazed at how many small business owners are willing to pass along the knowledge that they’ve picked up over the years on their own. Having your own creative business is really, really fun. Sure, it may be maddening while you’re waiting for a buyer to approve a their custom order, and there may be some really long, slow craft show days, but to have the opportunity to be able to do something that I love and quill my little heart out, is an amazing thing. I am so lucky and I’m going to ride this ride all the way. I would love to hear from some other small business owners out there. What are some lessons that you’ve learned on your crafty journey? Leave a comment below and share with the rest of us!